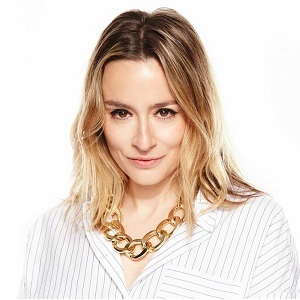 Ana is SVP, Global Strategy Director at Havas LuxHub, a global strategic consultancy working with the top luxury, fashion and lifestyle brands. An experienced strategist with passion for new things, Ana earned her doctorate in sociology from Columbia University and worked at the world’s top advertising agencies, like Droga5, HUGE and AKQA. Known for her future-facing approach to strategy, she led design of digital brand experiences and business solutions for global brands like Topshop, PUMA, ALDO, LVMH, Tom Ford, Replay, Bloomberg Media, Peninsula Hotels and Toyota. 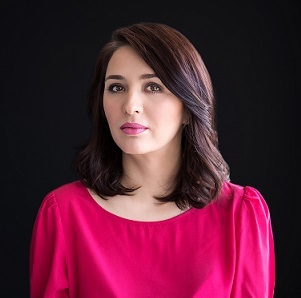 Ana is recognized as one of the top ten digital strategists in the world by the Guardian, and her writing appeared in Fast Company, Adweek, Advertising Age, Campaign, Luxury Daily, Communication Arts and the Guardian. Jana is a Creative Director in McCann Belgrade. Jana was born in Yugoslavia and despite never changing her address, lived in four different countries without leaving her hometown of Belgrade. Jana believes that passion moves mountains and tries to prove it so. Her credits include a 2011 Cannes Festival of Creativity Bronze Lion won for the work she and her team did on the Bridge Projection Lifesaver campaign. She is also a Eurobest and Goldendrum finalists and has won numerous awards for the best agency in Serbia. With a BA in sociology from the University of Belgrade, she started her career in advertising more than a decade ago, creating stories and building campaigns for brands such as Coca-Cola, Carlsberg, Nestle, MTV etc. She believes our business leaves a deep mark on popular culture and we as an industry should act responsibly with that in mind. She is a member of 5050initiative.org, founded by global ADC, a directory that highlights the wealth of qualified women in senior positions throughout the entire creative communications industries, bringing important balance to the conversation and laying a foundation for future generations of female talent and is one of the authors of a recently published book “Hacker, Maker, Teacher, Thief: Advertising’s Next Generation.” Jana is an international creative judge (New York festivals, Busan As Stars festival) and a guest lecturer at several Serbian universities. What will they talk about at the Weekend? Marketing needs a reset. Its playing field is now global, digital, experiential and aligned with modern values. The next-gen consumer now expects the same level of seamlessness and convenience from the established brands as they receive from upstarts like Uber, Net-a-Porter or Warby Parker. To win in this new space, traditional companies need to think like disruptors. They need to shift from playing defense to taking the offense, even if that implies adapting, or discarding, formerly successful approaches. New marketing strategies today sit at the intersection of the emotional narrative and technology, products and services, consumer utility and clear & measurable business results. They replicate a roadmap paved by startups for how to use new platforms and technologies to redefine their business and adapt to become stronger than ever. In this presentation, Ana is going to introduce five rules that marketing needs to adopt in order to become the driving force behind business transformation, and Jana is going to explore how they can be applied in the context of the region. John Conlon is Viacom International Media Networks VP Director of Research, UK, Australia & Eastern Europe. 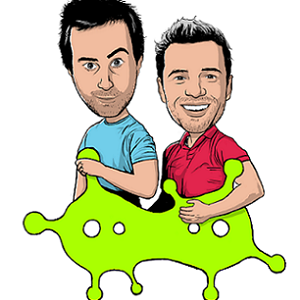 Overseeing all research activity within the UK, Australia & Eastern Europe for VIMN brands including Nickelodeon, MTV and Comedy Central John’s focus is to guide and support the development of VIMN’s business units through the provision of audience intelligence, analysis and insight. Prior to this, John was Senior Director of Research for Nickelodeon UK where he oversaw numerous research initiatives including brand positioning studies, consumer product studies and audience investigations. He spearheaded the launch of the Nickelodeon Kids and Family Panel and developed the 2012 Research Road Show, a multi-media trade presentation developed for Nickelodeon’s commercial partners and based on research executed within the UK and at an international level. John has also presented Nickelodeon research findings at events including the MRS Kids & Youth Conference and the Marketing Week Kids Conference. Before joining Nickelodeon, John was a member of the team that launched the UK TV channels; a joint venture between BBC Worldwide and Virgin Media. John began his career in market research at BMRB after graduating from King’s College London with a degree in Physics with Management. What will he talk about at the Weekend? “TV” used to be easy to define. When you’d think of a person watching TV, you could easily picture what that looked like: that person sitting in front of a television set, watching whatever was on at that time. Today, “TV” can mean many things. It still, of course, can refer to a person watching linear programming on their regular TV set—or binge-watching a series on Netflix using a tablet, catching up on a missed episode of a favorite show on VOD, checking out a new show on a smartphone while riding home on the bus, or any number of other possibilities. In a short span of time, content has become available anytime and anywhere, opening up endless opportunities for viewing. Both rapidly and radically, we have seen TV redefined. In the midst of all this change, many have predicted the end of television as we once knew it. But is that actually true? Viacom International Media Networks (VIMN)’s new research study, TV RE[DEFINED], explores how people are watching television in this transforming viewing environment. The results are surprising and, in some ways, comforting. In an ever-more digitally connected world, television and great stories still connect people to each other-perhaps now more than ever. TV RE[DEFINED] sheds light on global viewers’ evolving habits – how they discover and consume content – and illustrates how content creators and TV providers can redefine their relationship with viewers in the new TV landscape. For this project, VIMN conducted in-depth video ethnographies with consumers, spoke to over 10,500 respondents aged 6-34 and looked at 26,866 of their viewing occasions across 14 countries -Brazil, Mexico, Indonesia, Philippines, Australia, Malaysia, Singapore, Russia, Germany, UK, Italy, Poland, Netherlands and Sweden. We Live in an Amazing Time. Unless You Are a Bank, That Is. Mark Dek is a consultant for Clockwork and founder of the FutureDesk. He helps organizations incorporate innovation into their DNA and realize change within their (usually complex) environments. The main focus in this process is to stimulate curiosity within organizations, through continuous exploration of trends and experiment with new technologies. An innovation-friendly climate can appear in organizations when people start translating insights into stories and connect with each other. Mark has been facilitating these processes as a consultant in various industries, which has helped him in creating the FutureDesk, a platform that enables bottom-up innovation by curating inspiration. Besides facilitating innovation processes, inspiring others has always been a large part of Mark’s job description: he is a (visual) story-teller, which is probably a remnant of his previous occupation as an architect and urban designer. Over recent years Mark has acquired considerable experience in the finance industry, doing research and innovation projects for all four large banks in the Netherlands. His insights in the future of banking can both be inspiring and shocking, depending on whether you are a banker or not. What will he talk about at the Weekend? Marc Andreessen, a well-know charismatic investor from the Silicon Valley said that software is eating the world. Everything we have seen in the past few years confirms his statement. By observing a convergence of social, mobile, analytics (big data) and clouds as well as the growth of robotics and 3D print, it is impossible to even imagine the changes coming to us. In his lecture, Mark Dek will examine all the changes coming to a world that we think hasn’t changed that much – finance. Unlike many other industries, the world of finance has not shown any drastic changes so far. Mark will show us that what is coming might scare even the most obstinate banker. Jonathan is known as the “Guru of Silicon Valley” (a title awarded by BusinessWeek) and has exclusively focused on high-tech PR over the last 27 years. He has extensive corporate and agency PR experience as well as a history of orchestrating a wide range of successful global public relations campaigns at Sony, Apple, Pioneer and as counsel for a host of Silicon Valley’s hottest startups. Jonathan has gained the respect of leading media, analysts and technology clients for his in-depth technical knowledge as well as his unique blend of passionate evangelism, reflective counsel and intuitive understanding of PR and market dynamics. He has architected some of the most successful launches and public relations programs in Silicon Valley history. Jonathan was the PR manager and company spokesperson for Sony Corporation in its heyday, representing the company’s far-flung ‘non-consumer’ business units. At the age of 25, he was acclaimed as one of the youngest managers in Sony corporate history. As a key member of the headquarters corporate communications staff, his role included counseling top management, day-to-day product PR responsibility and control of a million dollar+ budget, all within a few years of graduating college. Through his expertise, Horizon was awarded Agency of Record status and created a range of public relations strategies for Apple, SGI and other Fortune 500 companies, as well as a host of top-tier startups. He has been personally profiled in BusinessWeek (twice), The New York Times, RJ Magazine, and the San Jose Mercury News and has contributed to several major tech news outlets. Jonathan has also been invited to speak at several prestigious venues, including the Reuters Foundation’s Digital Vision Program at Stanford University. He is a past member of SMPTE and a current member of IEEE. Jonathan is also an acclaimed haiku poet – see his Amazon ebook at http://goo.gl/NOyZte & blogs daily as “The Food Dictator” at http://www.thefooddictator.com. Specialties:Horizon Communications, established in 1995, ranks among Silicon Valley’s most respected counsel for high-tech public relations and marketing activites, having represented industry leaders such as Apple and SGI as well as a host of startups in the high-tech sector. What will he talk about at the Weekend? Drawing on 25 years of Tech PR experience with Apple, Sony and a host of successful European and American startups, Jonathan Hirshon will explain the “do’s and dont’s” of Silicon Valley-style public relations with humor, truth and insights learned over hundreds of acclaimed campaigns. Without a doubt one of the greatest athletes that Great Britain has ever produced. Before retiring in 2003 Colin was an outdoor World Record holder for 13 years, and still holds the World Indoor 60m title. Bursting onto the scene setting a European junior record of 13.44 in 1986, Colin ranked in the world top 10 for 16 years, and for the last 7 of his career was never out of the top 3. 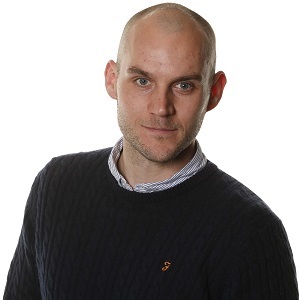 Colin has been an integral part of the BBC Athletics coverage since the Athens Olympics, covering every major event, including the London 2012 Olympics. Other TV highlights include co-hosting the BBC1 live morning show Sunday Life as well as dazzling us all with his dancing skills on Strictly Come Dancing – thrilled to make it, by public vote, into the final. More recently Colin has appeared on ITV1′s Dancing on Ice Goes Gold and the BBC’s 24 Hours in the Past. 2013 saw Colin launch his own mass participation event in aid of prostate cancer, Go Dad Run, on Fathers Day. After the success of the inaugural event, races have been held each year across the UK, with ambitious plans to make 2016 the biggest and best year to date! Colin also joined forces with Red Bull Wings for Life World Run campaign as a Global Ambassador and their Race Director. What will he talk about? 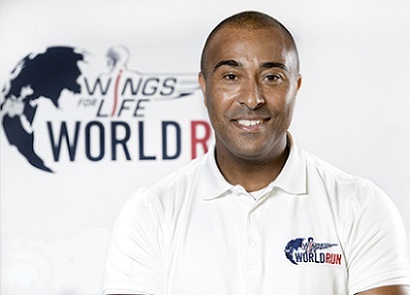 Wings for Life World Run is a race that starts simultaneously at tens of locations worldwide. A race that, in one day, defeats all time zones, times of day or night, territories and seasons. Its mission started in 2013, with the help of the Wings for Life Foundation, which has financed the most advanced research of spinal cord injuries for over a decade. In the first two years the race has gathered over 7 million Euros, all of which have been invested into research, while all the administrative costs as well as the race organization have been financed by Red Bull. Besides these profits, the race has reached a grander goal – it has interweaved its story in a completely new community, a community which spreads good vibrations globally as well as faith in one goal – that spinal cord injuries will become curable. The spirit of the race has spread from one day to an entire year and a countdown to each new race. Ever wondered how to make it big on YouTube if you’re from a small country? This is the story of 2 passionate YouTubers who love what they do, and they reached millions of subscribers, a global audience, brand partnerships… and they’re having a lot of fun on the way. Leadership Challenge: How to Maximize Gen Y High Potentials! Dr. Lynne Montgomery is an international Professor of academics holding 15+ years of teaching experience at the Graduate and Undergraduate level. Dr. Montgomery’s expertise also includes 9 years of business development, consulting, and PR experience. Dr. Montgomery has held multiple teaching posts/management positions at Universities throughout Eastern Europe with results proven track record, is an award winning humanitarian and a distinguished former U.S. Diplomat. She has authored multiple books and publications receiving international accolades and attention. What will she talk about at the Weekend? We know that high-potentials need smarts and experience to thrive, but ability and seasoning are only part of the recipe. We know from our benchmarking studies that high-potentials don’t fail because they lack ability,” says Jean Martin, executive director of the Corporate Leadership Council. “Most don’t succeed because they are not engaged and because the assignment they’re in is not what they want.” This presentation will give leaders a chance to think about, discuss and engage with some new ideas about who their young employees actually are, what they think and most importantly how to get the best out of them. 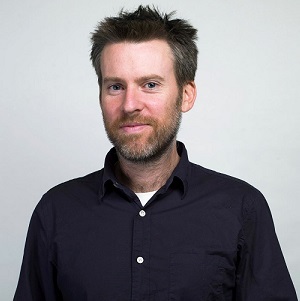 Brian Morrissey is the president and editor-in-chief of Digiday, a vertical media company that covers the digital media and marketing industry. 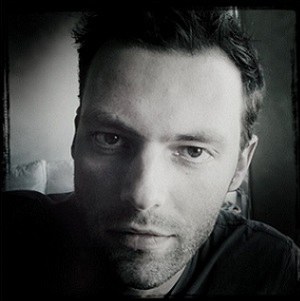 Prior to joining Digiday in 2011, Morrissey was digital editor at Adweek for six years. During that time, he led the publication’s coverage of digital media and marketing, frequently speaking at industry conferences in the United States and Europe. 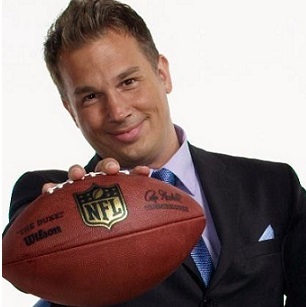 He has nearly a decade of experience in the industry, writing previously for DM News, ClickZ and Silicon Alley Reporter. He’s a graduate of the Columbia University School of Journalism. What will he talk about at the Weekend? The media business is in a historic transition from the analog to the digital media era. All publishers are in the midst of moving from point A to B – and point B keeps moving. From the shift to mobile to the rise of programmatic, publishers are finding their models of the past under threat. This presentation will focus on the biggest forces rocking publishing – and those publishers who are adapting to turn them to their advantage. 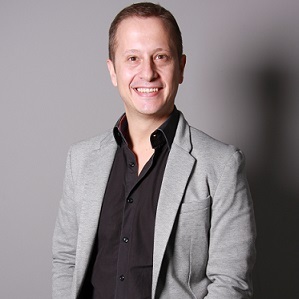 Working in the digital and communications arena for 13 years, Piero Poli has led digital strategy and creative teams across Automotive, Luxury, Entertainment, Healthcare, FMCG, Consumer Electronics, Airlines, Retail and Finance in Australia, the UK, Switzerland, Spain and the Middle East. 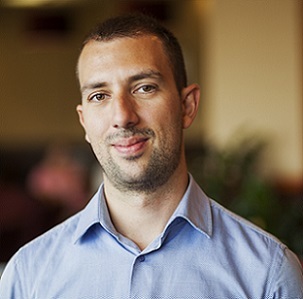 Having begun his career at Deloitte Consulting in Australia, Piero moved to London and had senior positions in global digital agencies including LBi and Agency.com. Piero then became the International Director for Digital (EMEA) at Warner Music based in London where his role was to develop internal capability to deliver digital marketing success across the business. Moving to Spain in 2007 Piero then joined Havas’s Global team in his role as VP for New Business and Strategy. 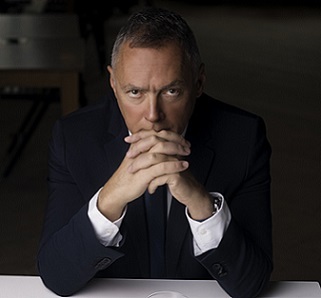 In this role, Piero managed the global strategic and digital innovation for several of Havas’ largest clients globally, NET-A-PORTER.COM, Philips and PUIG (the luxury fragrance company). Upon spending some time with the Havas in the Middle East in 2011, Piero saw the energy, passion and creativity of the business and its people locally, and the potential for digital to be at the forefront of world-best marketing communication efforts for brands in the region. Piero took the role of GM for Havas’ digital capabilities in Middle East, based in Dubai, developed an integrated digital offering and recently moved in March of 2015 to become the GM of Havas Worldwide UAE to further digital excellence an integrated thinking for Havas’ clients regionally. What will he talk about at the Weekend? A long time ago, agencies created value for their client. They created grand ideas and huge retainers. Some of us remember those times. Digitalization brings us a time when agencies wonder what their purpose is. 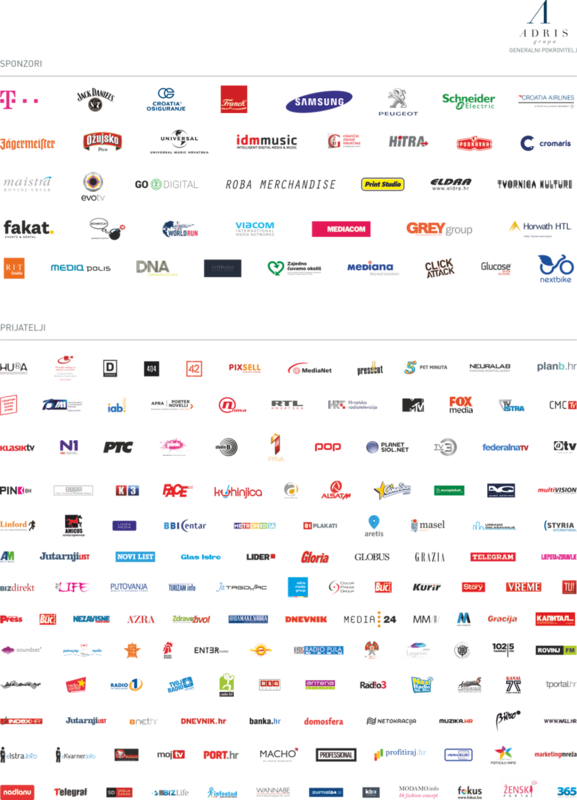 For years they have also fought publishers that eventually became agencies, with small studios and even tech companies. But agencies are now making a comeback. Piero Poli will explain how a new agencies that boldly strikes back, look like. 50 Years of the Super Bowl – the Most Watched Sport Event in the World! Once a year, over 100 million Americans gather in front of their televisions for an event that has been dubbed America’sunofficial holiday, “The Super Bowl” – a football game that has become a cultural phenomenon. Simply put, there is nothing else like it in the world, nothing. The Super Bowl is one of the most annually watched television events on the planet, routinely drawing over 100 million viewers in the United States alone, and millions more around the world. Many media experts have already speculated that CBS’ coverage of this year’s game in San Fransisco, this February, could easily become the most watched American television program in the country’s history, with predictions of over 115 million viewers. At the front of CBS’ presentation of this historical event is its creative director, Croatian American, Pete Radovich, Jr. The 28-time Emmy Award winning producer and director will join us in Rovinj to help explain how the Super Bowl has become more than just a sporting event and why there is nothing else like it in American media – with its glamorous pregame festivities, high profile halftime shows, which have featured musical acts like Madonna, Prince and Beyonce, and commercials during the game which will cost advertisers nearly $5 million for one single 30-second spot. What will he talk about at the Weekend? Join us as Radovich takes you behind the scenes of the planning of one the most high-profile, complex and challenging television broadcasts in the world. Atanas Raykov joined Viber’s team after ten years working on the evolution of the mobile technology and VAS services at the largest telecom in Bulgaria, as well as creating and strenghthening local stat-ups focused on mobile communications. On his new position, Raykov will be in charge of Viber’s further business development in the region of Central and Eastern Europe, with special attention on Bulgaria, Greece, Serbia and Macedonia. What will he talk about at the Weekend? In an era where the upcoming generation of consumers and digital audience is closing the majority of their social interactions within chat groups and not wide-spectre social networks, the approach of the content generators and brands should be adapted in order to reach them effectively. The talk will focus on exactly how this can be done, so that you stay ahead of the digital curve. 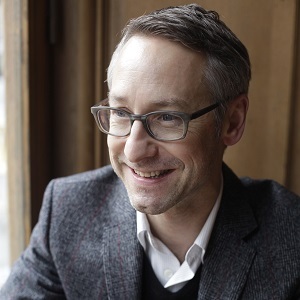 Caspar Schlickum is CEO of Xaxis EMEA, responsible for managing the operations and leading the development of the Xaxis business across the 18 countries that make up the region. 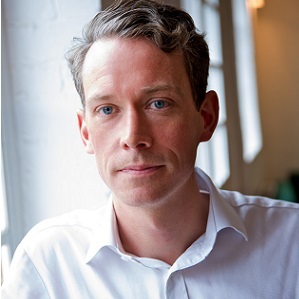 Caspar has extensive experience in digital media and audience insight driven marketing, having spent four years at Mindshare as a global client lead and one year within Kantar, the holding company for WPP’s research and insight businesses. Prior to joining WPP, Caspar was Commercial Development Director at Fairfax Digital, one of Australia’s largest publishing houses. Before commencing his career in marketing, Caspar spent six years in investment banking advising on technology, communications and infrastructure projects in the Asia Pacific region. Caspar holds an Economics degree (with first class honours) from Monash University in Melbourne, Australia, and a MBA from London Business School and the Kellogg Graduate School of Management. 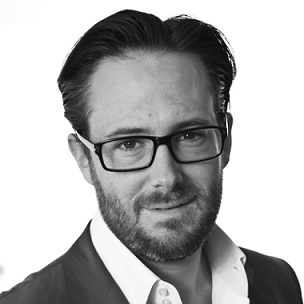 Caspar is a member of the WPP European Digital Advisory Board. What will he talk about at the Weekend? Programmatic is, alongside native advertising, the buzzword of the year. Everyone is talking about it but only a few know what it’s about. In Europe it is still rudimental, while in its biggest market, the United States, programmatic is becoming a basic approach to media buying. In short, programmatic represents an automatisation of media buying and an optimization of campaigns thanks to technological development. Casper will explain everything you need to know about this process that will forever change the way we buy media. Is a Success Story Like ‘Downtown Abbey’ Possible in the Balkans? Pete Smith is a CEO with a record of significant achievement in the international media business. He has a strong background in sales, marketing and acquisitions, is accomplished at creating and executing strategic goals, developing high performance international teams and delivering exceptional growth. He is a strategic thinker with an effective interpersonal style. 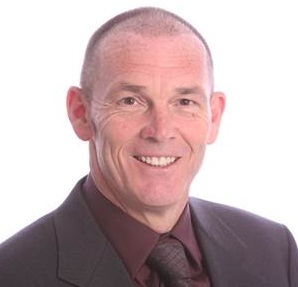 Pete is the Group Managing Director for Antenna Group, hq in Holland. He has generated strong growth of Antenna’s broadcast and media assets in Greece, Serbia, Slovenia, Romaniaand International Pay Channel networks. This has been achieved by appointing a very talented team focussed on execution, content and streamlining the organization. He was President of NBC Universal International between 2006-2012 reporting to Bob Wright and Jeff Zucker (NBC Universal International is a USD 4.5bn business based in 30 countries). He was responsible for Film and TV Production and Distribution and significantly grew the Pay Channels business. He initiated and executed a plan for NBCU to enter into the international TV production market with numerous commercial successes most notably “Downton Abbey”. Whilst President of Digital and Home Entertainment at Universal Picture International, he drove revenue growth from USD 200m to USD 1.2bn expanding local productions and acquisitions in every market in which Universal operated. He distributed released the first major film digitally “King Kong” over the internet in 2006. Pete is married with two boys and has a passion for motorcycling, swimming and fitness. What will he talk about at the Weekend? The global success of TV projects nowadays isn’t a privilege saved only for production companies from North America anymore. The latest examples of these theses are Latin American and Turkish soaps, Spanish teen series, as well as the great success of Scandinavian, French and Italian crime dramas. Can our region generate the same success taking into consideration our specific per-ception of the world, as well as the world’s perception of us? Which production and distribution model will best serve us to adapt to today’s biggest trend in the global TV industry? Is the aspect of production or creativity more important in the answer to these questions? He has been in the advertising business since 1979, which probably makes him one of the oldest and most experienced active individuals in this profession in the region. He is considered the pioneer of the new approach in working with multinational clients in all of the neighboring countries, as well as the pioneer of the modern approach and the introduction of the world’s know-how in the planning and use of media. He has been a lecturer at numerous conferences around the world, including WMF where he has been an active participant from the very beginning and where he still has well-received appearances every year. Last year he hosted “Hard Talk” with Željko Mitrović. He is also a Professor at the School of Dramatic Arts in Belgrade. This year he also taught at an MBA program at the Berlin School of Creative Leadership.His agencies won numerous local and foreign awards and he himself won many recognitions. In 2010 and 2011 he won a lifetime achievement award called Grand Slam for his entire opus. Scott manages Twitter’s sales partnerships across EMEA. He is responsible for managing Twitter’s sales partners across EMEA to deliver healthy growth. Prior to Twitter, Scott worked for Ad Dynamo in South Africa, where he was the head of Twitter’s Advertising Operations and played a fundamental role in the setup and running of Ad Dynamo’s Twitter Ad Sales Partnership in South Africa. Before that he worked in other roles in Ad Dynamo such as Head of Global Projects and Client Services Director. Scott has also held a number of positions in various technology and web companies. What will he talk about at the Weekend? About how human activity on Twitter creates energy patterns similar to real life energy patterns such as lightening and Solar power. Lightening being created by conversation around cultural events and Solar Power being everyday conversations. Scott will talk about how brands and marketers can harness this power in order to leverage the #PowerofNow. As a part of the BalCannes hall program at the Weekend Media Festival, Epica’s editorian director Mark Tungate will present the Epica Showcase, a 45-minute film featuring Epica Award winners from around the world. Epica is the only global creative prize awarded by the press. Mark will also talk about the secrets behind award-winning work. Mark Tungate is hosting the Epica’s international jury and is curating the annual Epica Book. With over 30 years of experience in journalism, he is the author of six books, including Adland: A Global History of Advertising and countless articles published all around the world, including The Times, The Financial Times, Advertising Age and Campaign. He also worked as a ghostwriter and copywriter for brands such as Diesel, Guess and MTV.